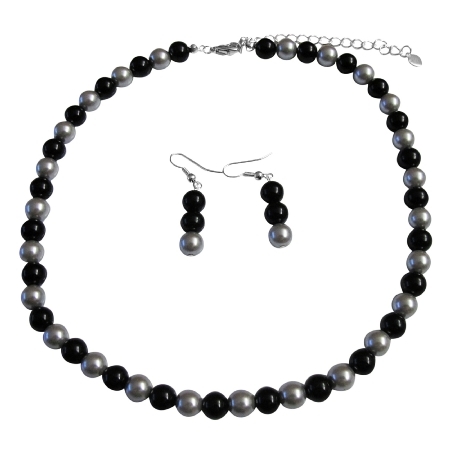 You are looking at a beautiful Pearl Jewelry Necklace set in adorned with Black pearls & Silver Pearls. You cant go wrong with our spectacular Black & Silver pearl jewelry. Whether your mother wife fianc�e daughter girlfriend niece for a bridesmaid gift or flower girl gift we have got something for her at a price you will love.